GoVirtual Limited (UK) and its group companies including GoVirtualWorld LLC (USA) is strongly committed to respecting and protecting your privacy. GoVirtual is a limited company incorporated in England and Wales and registered under number 9373702 and The Office, 31 Lamb Street, Suite 11, Dandridge House, London E1 6ED UK. GoVirtualWorld is a Limited Liability Corporation (LLC) in the State of New Jersey, USA and registered under number 0400744554 and The office, Suite 3306, 2 2nd Street , Jersey City, New Jersey 07302. We hope that you enjoy using our website, safe in the knowledge that we are committed to protecting your privacy and security online. GoVirtualWorld is based on strong fundamentals of partnership with our customers and this extends to the way we handle your personal information. We make a point of working with our customers when it comes to their information privacy. GoVirtualWorld is committed to protecting your privacy and respecting customer loyalty systems. You have control over the information we store about you and what types of information (if any) you would like to receive from us. We use a variety of information security measures to protect your online transactions with us. Our Web site uses encryption technology, such as Secure Sockets Layer (SSL), to protect your personal information during data transport. SSL protects information you submit via our Web site such as order information including your name, address, and credit card number. When you create an account on Govirtualworld.com you are required to establish a password. To maximize your level of protection, you should choose at least 6-30 characters, using a combination of both letters and numbers. You are solely responsible for maintaining the secrecy of your password and account information. You do NOT have the ability to purchase on our site without registering with us; however, you will need to enter your personal information each time you use our site in order to make a purchase. Includes any information which can identify an individual company, presented in any form, such as: name, address (incl. email address), ID numbers, credit references, records and evaluations. We may collect information about you from a variety of sources, including information we collect from you directly; information we collect about you when we visit your site and information we collect about you from other sources. 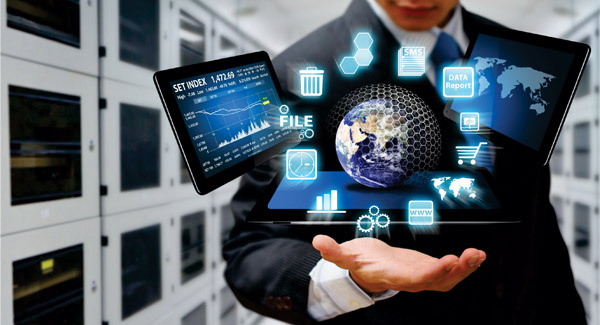 As a general principle, GoVirtualWorld will identify the purposes for which company information is collected at or before the time the information is collected. GoVirtualworld may also collect Information from such third parties as credit bureaus, employers or references or other third parties that represent that they have the right to disclose the information. This information and any other information you provide to GoVirtualWorld via the Site, email or telephone is required in order to provide you with GoVirtualWorld's services and the relevant products offered at our one stop center. Also to verify your credit status with third party credit agencies and to inform you of any new offers and services which may be of interest to you. GoVirtualWorld Club communicates with our customers through multiple channels and vehicles to keep you up-to-date on promotions, offers, customer experience content and new products or services. Once you provide your information, we may contact you through direct mail, e-mail,or phone. We may continue to communicate with you through these channels unless you request to stop receiving these communications by opting out. Before sending you marketing literature, we will require your express consent by requesting that you opt in. Call 1800 949 2204 or 0207 993 4969 with your request and current contact information. 31 Lamb Street, Suite 11, Dandridge House, London E1 6ED UK. If you send an e-mail or letter request, please be sure to include your full name, company name, address, phone number, and e-mail address, as well as the specific changes you would like to make. This will ensure we correctly identify you in our systems and accurately process your request. We will take the appropriate steps to modify your preferences with respect to our marketing communications. Due to production, mailing, and system time lines, it may take some time to process your request. The following guidelines are provided for your convenience. Although you may have opted not to receive marketing communications, you may still receive business-related communications such as product sales confirmations, service status communications, or other organization-related communications. When managing your Virtual Appointments, we provide you with the online CRM facility to review and make certain amendments to your details including providing us with additional information. When checking in online we ask you for name and contact details such as phone and email and other account details (if applicable). When joining or using our Club program, we ask you for your name; company name; contact details such as email and phone numbers; and address. GoVirtualWorld LLC and GoVirtual Limited invites you to conduct an online feedback questionnaire with one of our agents to help you achieve your future goals. By using this service you agree to the information you provide will never be shared with third party. Telephone calls made to and from our office may be recorded and monitored for the purpose of quality assurance, training, security and for business purposes. Live chats and emails made to and from our office may be recorded and monitored for the purpose of quality assurance, training, security and for business purposes. Information will be updated as necessary for the purposes for which it is to be collected and used. GoVirtualWorld Club will not routinely update your Information unless such a process is necessary to fulfil the purposes for which the information was collected. Information that is used on an ongoing basis, including information that is disclosed to third parties, will generally be accurate and up-to-date to the best of GoVirtualWorld's knowledge.